WARREN  Jerry Lynn Hawkins, 76, of Warren passed away peacefully into eternal rest on Tuesday, December 4, 2018, at Trumbull Regional Medical Center in Warren. He was born on May 21, 1942, in Warren, the son of the late Chester L. Hawkins and Ruth E. (Fawcett) Hawkins. Jerry was a member of the U.S. Air Force from 1962 to 1966. Then Jerry married Ruby J. Johnson on July 28, 1979, and they enjoyed 39 years of marriage, sharing church work, traveling, and restaurant hopping. He worked as an office equipment installer for United Telephone 32 years, retiring in 2004. He also worked at the Ravenna Arsenal as a locomotive maintenance man, and at HK Porter. During his Air Force station in the Aleutian Islands, he worked as a diesel mechanic/power plant operator. He had lived in Warren for the past 39 years, was formerly of Newton Falls. Jerry loved collecting coins, and electronics. He was preceded in death by his parents; three brothers, Ronald, Wayne, Harlan Hawkins; and three sisters, Eileen Hewitt, Shirley Lynn, and Bonnie Enberg. He is survived by his wife, Ruby J. Hawkins of Warren, and many nieces and nephews, with whom he enjoyed imparting knowledge and advice, teasing, and sharing coins. Watching them grow up and mature was important to him. A funeral gathering will be held at the James Funeral Home in Newton Falls on Saturday Dec. 8, 2018, from 4 to 6 p.m.
Jerrys favorite charities are Lordstown Christian Church (DOC) 6370 Tod Ave. SW Warren, OH 44481; and The Salvation Army Donation Center 2680 Youngstown Rd. SE Warren, OH 44483. Arrangements have been entrusted to the James Funeral Home, 8 East Broad Street, Newton Falls, OH 44444 (330)872-5440. 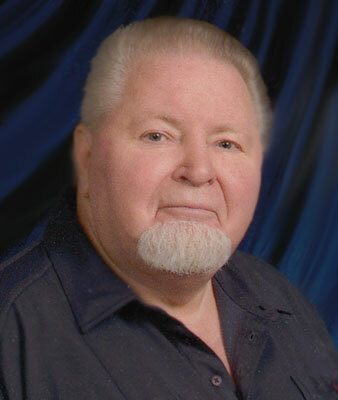 Family and friends may visit www.jamesfuneralhomeinc.com to view Jerrys obituary online or to send condolences to the family. « Be the first to sign JERRY LYNN HAWKINS guestbook.